RNC Industries provides integrated concrete construction services in New York City and the surrounding areas. RNC hired Brainstorm to re-brand the company and develop an enterprise level responsive website. The project began with the development of a new corporate identity and brand messaging. The website includes on-site photography and highlights of RNC’s extensive portfolio of high-end commercial development projects. 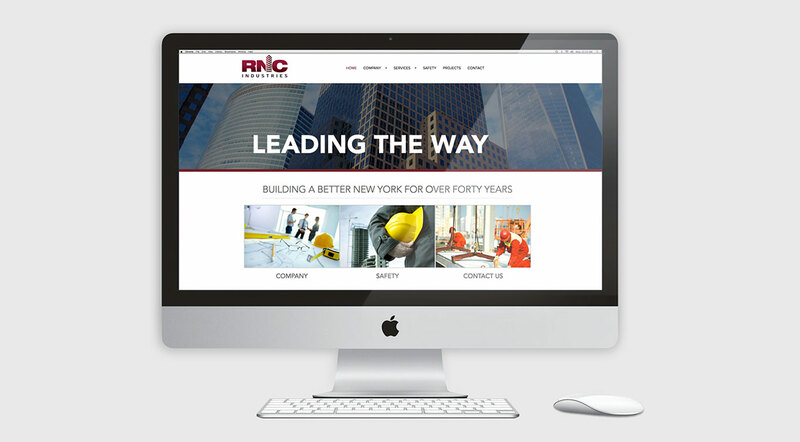 Since the new logo and website design, RNC has shown significant growth in the New York City market. The website has proven to be a helpful tool for showcasing RNC’s capabilities, projects and client references.